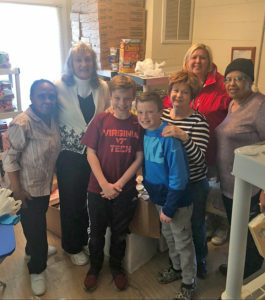 For the past several weeks, the West Clayton Elementary School Student Council has been hosting a Food Drive at their school. Students, teachers and parents generously gave nonperishable food items. Students checked on the collection boxes each day and made sure there was plenty of room for all that was being brought in. At the conclusion of the Food Drive, 12 large boxes of items were filled. The items were taken to Clayton Area Ministries on Feb. 20th.